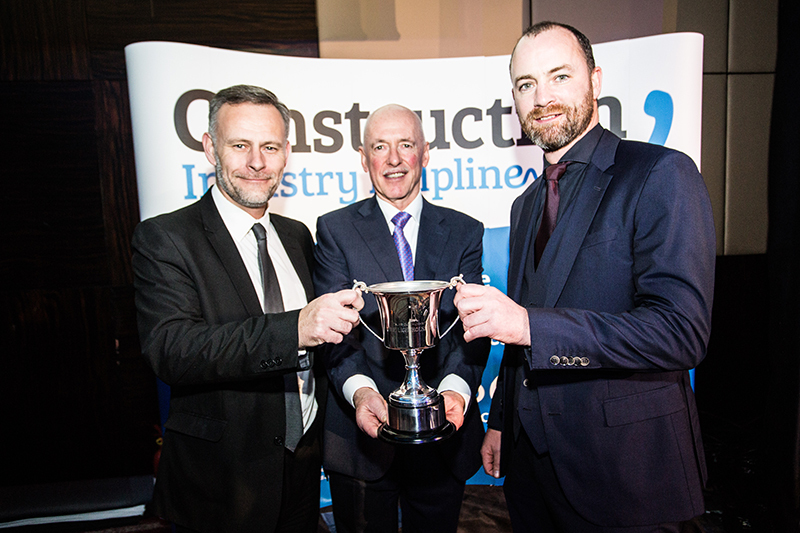 On Friday, 1st December 2017, Andrew Crispin and Darren Size, Trustees of the HQR London Charitable Foundation were invited to attend The Lighthouse Club Annual Christmas Lunch at The Westminster Plaza with 900 other construction professionals. A number of HQR London supporters were also invited to attend with them. 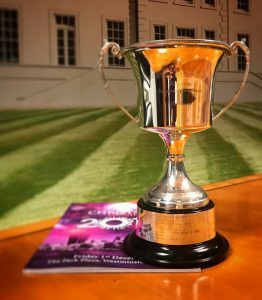 Andrew Crispin on behalf of Walter Lilly was delighted to find that the HQR London Charitable Foundation had been awarded the Peter Capel Cup in recognition of its ‘outstanding contribution to fundraising’ for the Lighthouse Club this year. In June 2001, Peter Capel was awarded an MBE for his services to the construction industry benevolent fund The Lighthouse Club and following his passing in 2010, the Peter Capel Cup has been awarded each year to acknowledge outstanding individual fundraising. In its two years of hosting the HQR Summer Ball, HQR London Charitable Foundation has made donations in excess of £80,000 to this construction industry charity and Andrew is looking forward to raising much more at the 2018 event on the 30th June. “It was a complete shock to Darren and I that HQR London were even nominated for the Peter Capel Trophy, so you can imagine how amazed we were when our name was read out as this year’s winner. HQR London are delighted to support The Lighthouse Club and the good work that the charity does. We are very pleased to confirm that they will once again be one of our two principal charities for 2018. Half of the money raised from the table sales and auction at our 2018 Ball will go to The Lighthouse Club, so we look forward to presenting them with another big cheque next year”. Walter Lilly has elected HQR London as it’s charity of the year during 2018 and staff, family and friends will undertake a number of team challenges throughout next year in support of the Trust’s two chosen charities – The Lighthouse Club and The Lullaby Trust. Our first team challenge will take place on Sunday, 4th March where 15 staff will undertake the gruelling ‘Nuts Challenge’ near Dorking in Surrey.